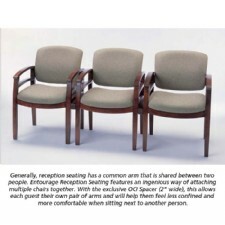 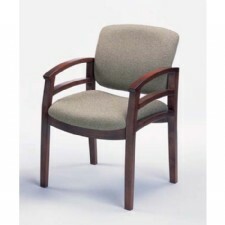 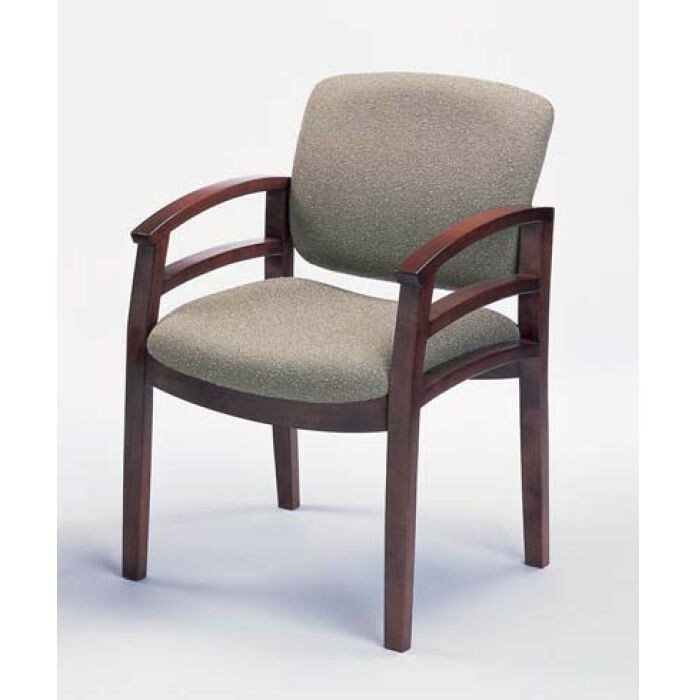 Entourage 400 Guest-Reception Chair in Leather or Fabric. 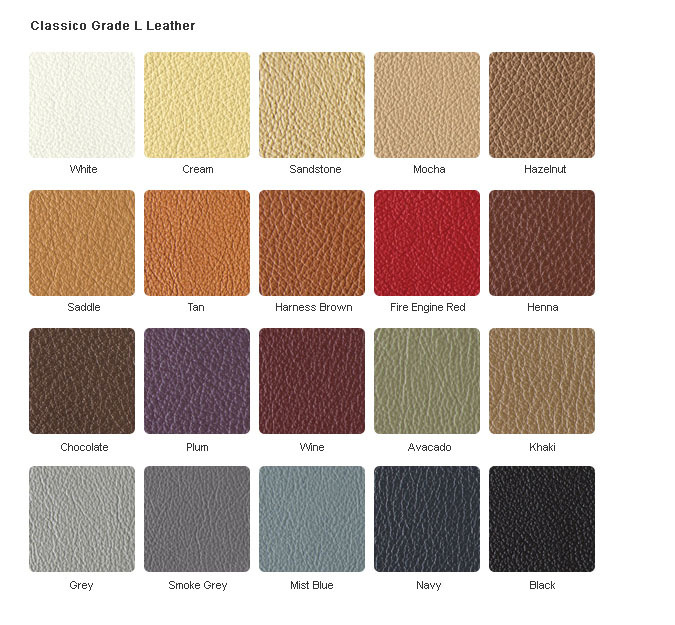 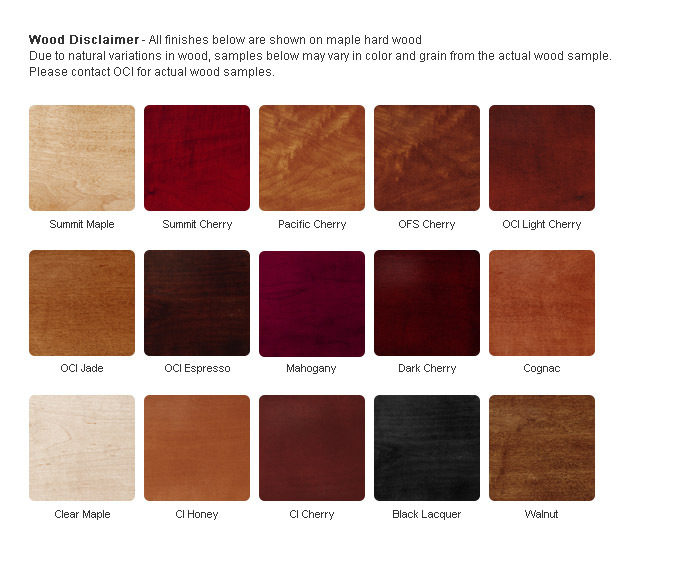 15 Wood Finishes and many leathers and fabrics from which to choose. 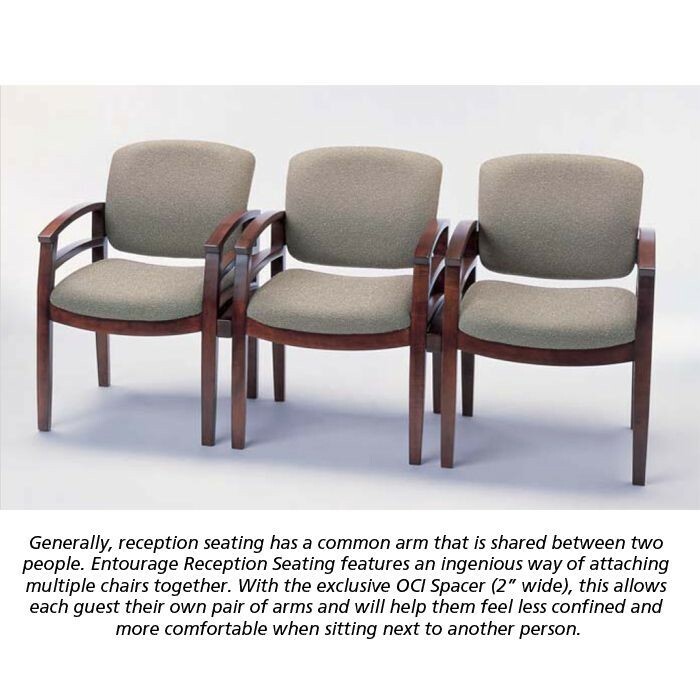 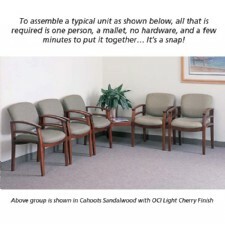 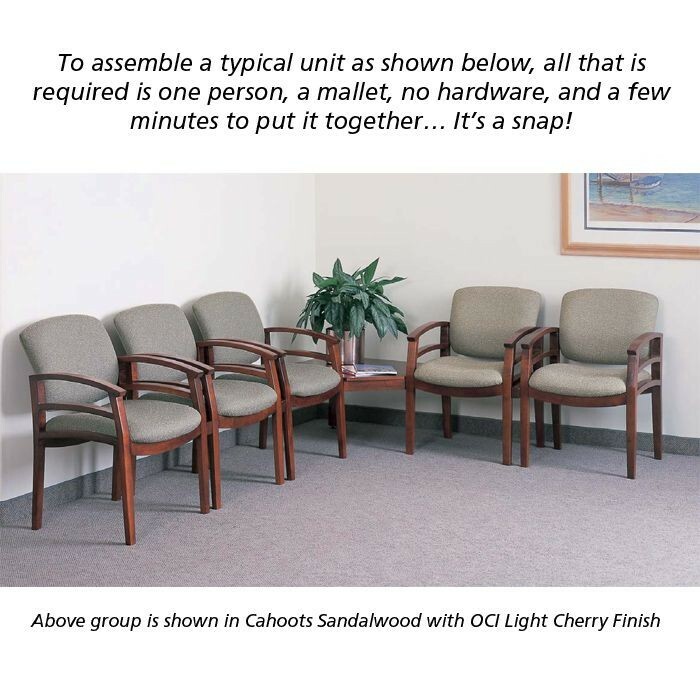 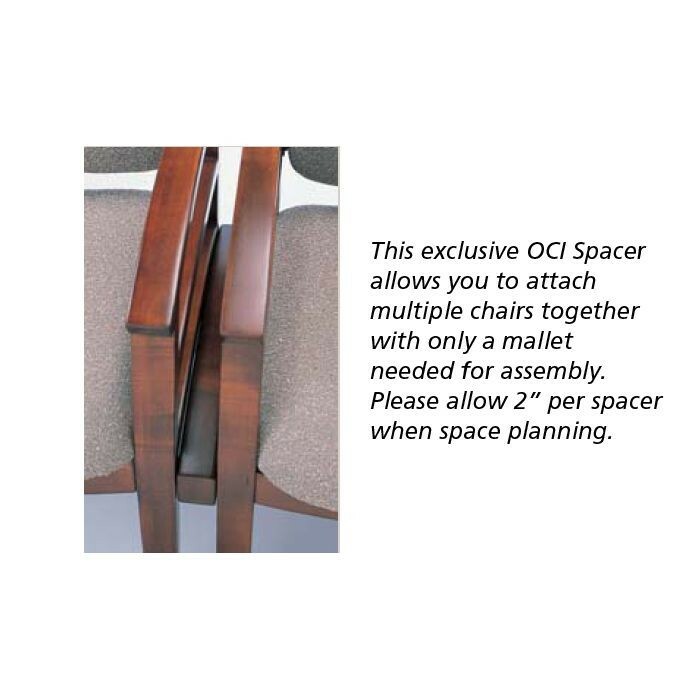 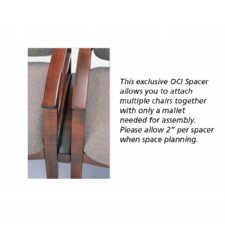 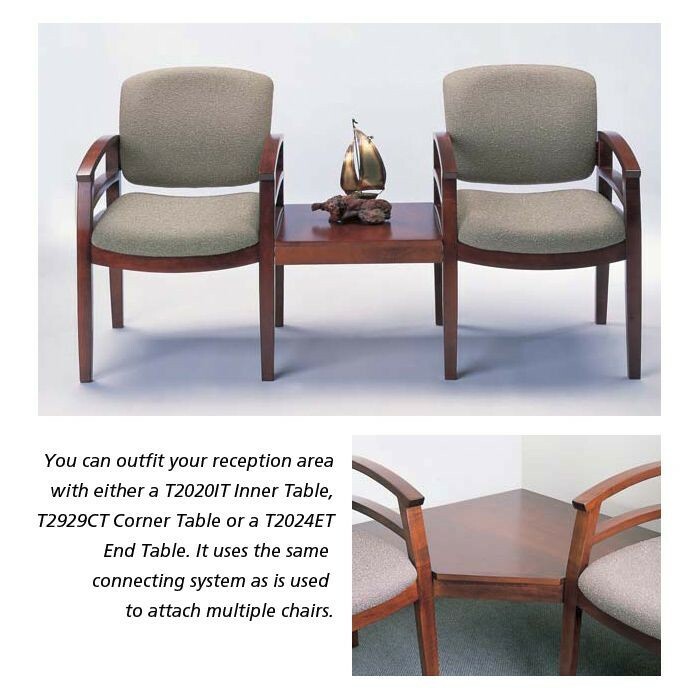 Options available for creating attached layouts including OCI Spacer, attachable corner, inner and end tables. 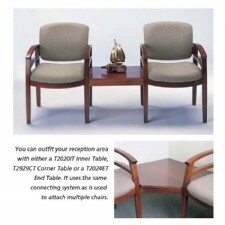 Coordinated Occasional and Reception Tables also available.